Freshpints.com: Final Beer In Bridgeport's Trilogy Series Ships This Week. Final Beer In Bridgeport's Trilogy Series Ships This Week. 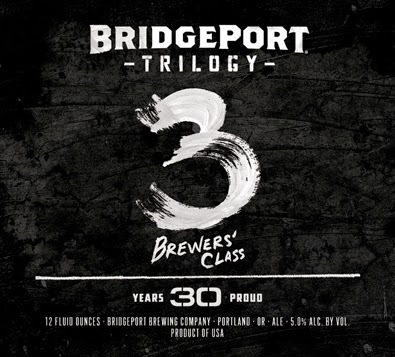 PORTLAND, Ore.—August 28, 2014 — The third and final beer in BridgePort’s anniversary series, Trilogy 3 Brewers’ Class, starts shipping this week in all markets where BridgePort is sold. Designed as a collaboration with students enrolled in the Fermentation Science Program at Oregon State University, Trilogy 3 Brewers’ Class looks to the future of craft brewing in Oregon and nationwide. Conceptualizing the liquid started over three months ago when the students, alongside program director Thomas Shellhammer, joined brewmaster Jeff Edgerton at the brewpub for a beer and some great conversation. After a productive brainstorming session and review of Bridgeport’s current lineup, the Oregon State students dreamt up an easy-to-drink brown ale with a blend of dry hops that lend a unique aroma. Over the following months, there were multiple rounds of test brews at the OSU lab before landing on the final product: a sessionable dry-hopped Brown ale with an ABV below 5-percent. 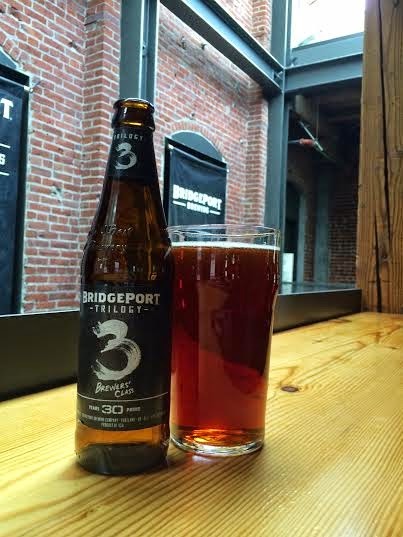 It is now up to BridgePort fans to determine which Trilogy release will return as a year-round beer in 2015. Fans can compare each of the Trilogy beers, all available in the upcoming Voter’s Box Variety Pack, and then cast their vote on BridgePortTrilogy.com, on Instagram, or on Twitter. The BridgePort Voter’s Box will start to hit shelves in early September. Description: Easy-to-drink brown ale with a blend of dry hops give this beer a unique aroma character. Dark caramel malt is used to give this beer a decidedly brown color. Low alcohol but still retains a malty backbone. 6th Annual Little Woody this weekend in Bend.